Shri. 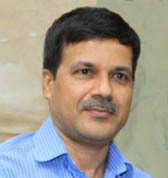 Ashwani Kumar, IAS is the Chief Secretary of the Government of Puducherry. He is an AGMUT cadre Indian Administrative Services Officer of 1992 batch. He belongs to Uttarpradesh state. He completed his M.A. (International Dev) and B.E. (Electrical Engg. ).